It’s “Back to School” everywhere you look. Supplies. Clothes. Shoes. But have you thought about lunchboxes yet?!? Here are a few snack ideas that you could toss into your kiddos lunchbox along with a sandwich, wrap or leftovers. Homemade Applesauce – Make this in the slow cooker…overnight. Cheese Cubes – Buy a block and cut your own! Cut Fruit – Make your own fruit salad and send a cup in lunchboxes. What little goodies do you like to drop into your kiddos lunchboxes?! Great ideas, as always. I bring my lunch to work everyday and am always looking for new ideas, so thanks! ha, I usually stick husband with his applesauce, but he’s forgetting when he is OUT. silly! I’ll have to pick up some more apples at the farmers market to try those dehydrated apple snacks and crockpot apple sauce! My daughter has already hinted about wanting pumpkin muffins, so I’ll definitely be making those for her lunch box. I recently made chocolate chip zucchini muffins in mini muffin size. Flash froze, then back in the freezer they went. My oldest loves them and has no idea of what is hiding in there. I also love making muffins with fresh ingredients then putting a thin glaze and calling them cupcakes. Works like a charm. Care to share your recipe, Amanda? I’d love to sneak them by my little guy! Too funny, I just blogged about the same thing! Great ideas – I love making applesauce in the crock pot, it’s so easy. I will have to check out the dehydrated apples link – that’s something I’ve been wanting to try. I just made some pretzel chocolate sandwiches (pretzels with chocolate almond bark in the middle). I occasionally make brownie bites also. But recently, it’s applesauce & grape packs in their lunches. Sometimes, I’ll make jello snacks in cups. Chocolate covered grahams are also nice. Homeade granola and banana bars are always a hit with my 2 girls. I try to always keep a batch cut up in freezer bags so I can toss them in the lunchbags in the mornings. I have made applesauce before and it tasted great but apples have been pricey around here-hope apples become reasonable soon. @LisaE, anything less than $.49/lb sounds good to me! I want to make some applesauce soon as well. Wow I wanna live where you live…our apples are $1.79/lb. We sometimes have them on sale for $.99, but not often. I love a variety and ease of making lots and freezing! I try to make 1-2 things every sunday. My boys enjoy packing thier own lunches. We have a “snack drawer” full of things like small bags of pretzles, trail mix, soy nuts, dried fruits…. and then in the fridge they have things like home made puddings, jello, friut cups, veggies and dips… We re-use small water bottle for drinks and those change often too. I just make sure there’s enough of everything on sundays and don’t have to worry about it all week. 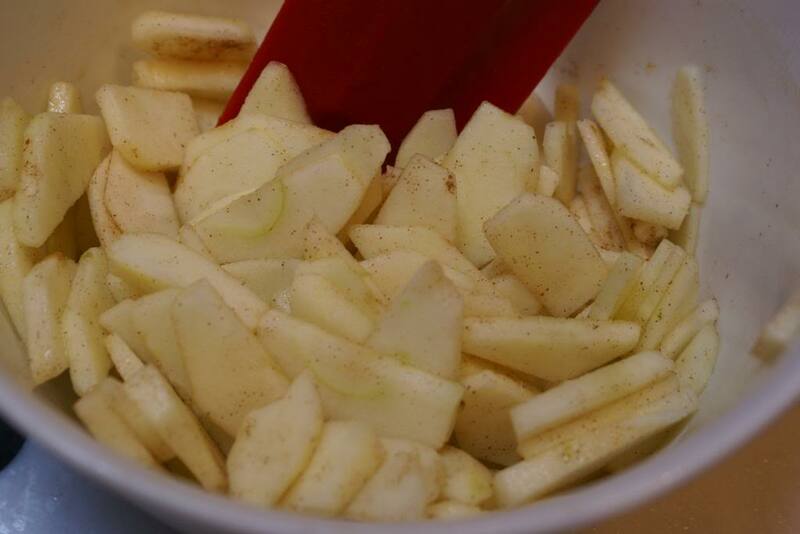 My kids love to have apple and pear slices with pumpkin dip (it tastes like pumpkin pie!) or peanut butter. Popcorn is a fav at our house. We have a cast iron popper, which makes it much healthier and cheaper than the microwave kind. We bought a 25lb bag at Costco 2 years ago and are still working our way through it. @Amanda – thanks for the idea for mini muffins…I just saw my trays the other day and was thinking I needed to put them to use. I always include a fruit or veggie & dip for the girls lunches. I just picked up another thermos cause my third baby is starting Jk this year. Instead of chips I give them rice crackers. I make zuchinin or banana muffins in small muffin tins. For a while my oldest was requesting her favourite cereal and milk as her morning school snack. I just blogged too. Seems like this is on ALL of our minds. I think a link list of all of our lunch box idea posts would be a great idea. My kids like almonds and clementines. Sounds limited I know but its what they will eat guaranteed every time. I want to try those mini Chocolate Chip Zucchini muffins too. My son loves baby yellow tomatoes, and grape tomatoes tossed with a tiny bit of Kraft’s Tuscan Italian dressing. Organic raisins are another item that he loves. I also pack whole grain crackers, nitrate free turkey and ham, and organic white cheddar, so that he can make his own “lunchables”. Great post! I am loving all of these ideas from the other moms! I love crockpot ladies applesauce. It is delicious! I just blogged something very similar too. I think it is what is on everybody’s mind right now. My kids love almonds and clementines. Its a limited list of “likes” I know. Im going to try a few of the ideas here. Ants on a log! (celery, Peanut butter and raisins) Use dried cranberries instead of raisins and they’re Yule Logs! 🙂 Also all kinds of almonds, baby carrots, grape tomatoes. Dole now has mandarin oranges in 100% fruit juice instead of syrup! (finally!) We’ll be putting THAT to good use! Triscuits work well with numerous toppings (cheese, hummus, grape tomatoes, tuna salad) Also yogurts or 100% apple applesauces. Plus, the Amish market near here sells mini fruit or veggie trays with dip for only $2.50, which easily makes 4 snack-sized portions! We just re-use the trays and containers!